Apokries, Tsiknopemptee, Kathara Deftera... In Greece, there is a celebration for everything! Greek Carnival is a period full of traditions and foodie celebrations. Carnival is also a big party just as in many other places in the world full of joy and fun. Did you know that the Patras Carnival, Patrino karnavali is one of the biggest in Europe? 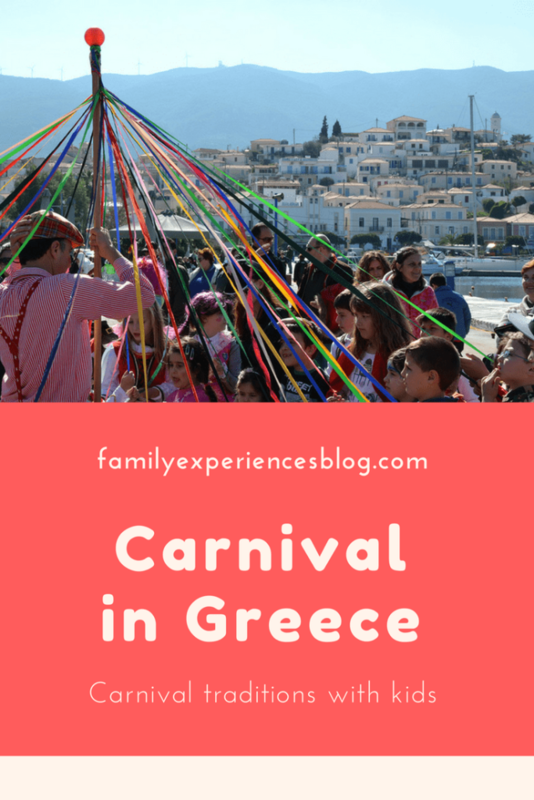 Here I have summed up the most important Carnival rituals and traditions and where to celebrate best in Greece. Greek Carnival or Apokries is a family celebration with street parties, parades, and masquerades. Carnival ( from Latin: carne and vale = goodbye to meat) marks the days before the fasting begins. The word Apokries in Greek comes from the words apochi and kreas (abstinence + meat) so, it means avoiding meat. The Greek Carnival is divided in 3 weeks, all preparing for the fasting. The first week opens the carnival and starts with a specific church celebration. The second week is called Kreatini in which one is allowed to eat meat every day. The Thursday in the Kreatini week is called Tsiknopemptee. Tsikno means the smell of grilled meat and Pempti means Thursday. This Thursday is a day to take your family out to a tavern and eat grilled meat. Tsiknopemptee is also the day when the parties start and the first masquerades for the Greek Carnival make their appearance. The last week before Lent is called the Cheese Week, White Week or Tyrini. Only dairy and fish are allowed during that week, no meat. The carnival celebrations end on Kathara Deftera or Clean Monday. Carnival is related to the pagan rituals of the ancient worship celebrations to Dionysus, the God of wine, agriculture, fertility, dance, and fun. The ancient Greeks held this wine and dance festival in February/March to celebrate spring. There was a parade with a Dionysos figure, fancy dress, and masks. During the modern carnival, street parties and parades take place everywhere. The best-known is in Patras, including a children carnival with a large parade of school children. 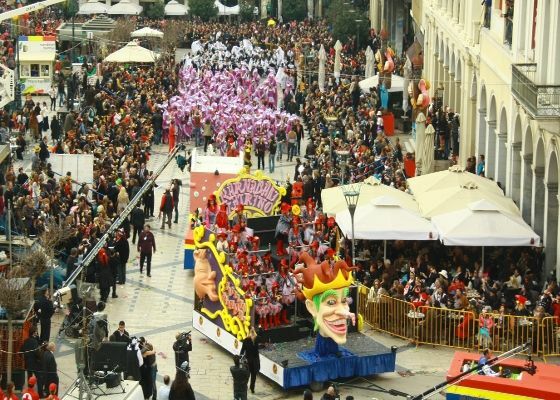 Patras’ carnival is one of the most famous in Greece. It ends with the burning at the stake of the King of Carnival and a big parade of floats and costumed groups. Thousands of locals and tourists attend the carnival. Due to the numerous visitors during the carnival days and the high demand for accommodations, it is recommended to check hotel rates and book rooms well in advance. Patras’ Carnival has some unique characters such as the oath of the participants and their taking part in decorating the city. Two effects mark the carnival’s start: The departure of the carnival’s train from Athens that goes through different cities up to Patras’, and the official appearance of the carnival’s queen. The Patras carnival’s program, venue, lineup information show time/schedule of events, how to get, parking etc. is present in the carnival’s link website. Other famous carnivals are in Rethymnon (Crete), Galaxidi, Xanti and Kastoria. 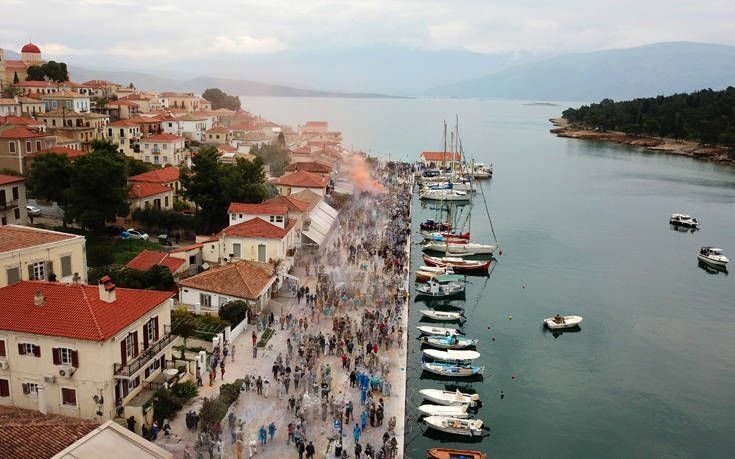 Each year, the little harbour town of Galaxidi in the Peloponesse is covered with more than 1.5 ton of coloured flour. This is thrown on the locales and the tourists who attend the most insane battle. The traditional flour battle symbols the end of the carnival period. The historic legacy and the causes to these fights are unknown. According to local tradition, in the 19th century, when Greece was ruled by the Ottoman Empire, carnivals were forbidden. 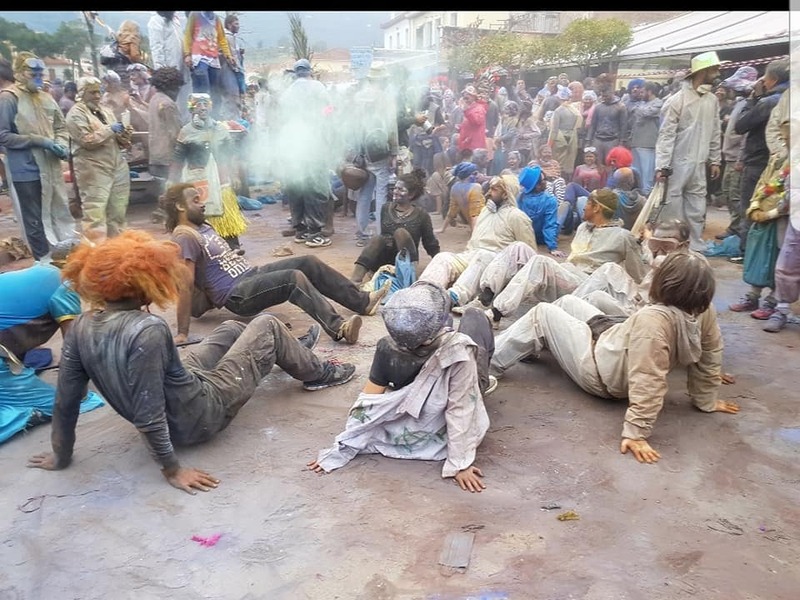 In spite of the prohibition, the locals danced in the streets with their faces coloured with coal as a protest against the government. later on, they added the coloured flour tossing. The flour battle takes place on Clean Monday. 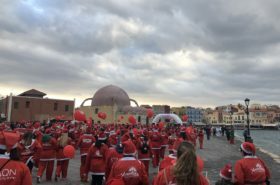 During the holiday, hundreds of people, dressed in plastic cloths, their paces are coloured with black coal and safety goggles on their eyes, fill the streets. Have a look at some snapshots of the event below by local insider Chrysoula Papalexi. Chrysoula runs the awarded family-friendly boutique Ganimede Hotel in Galaxidi. 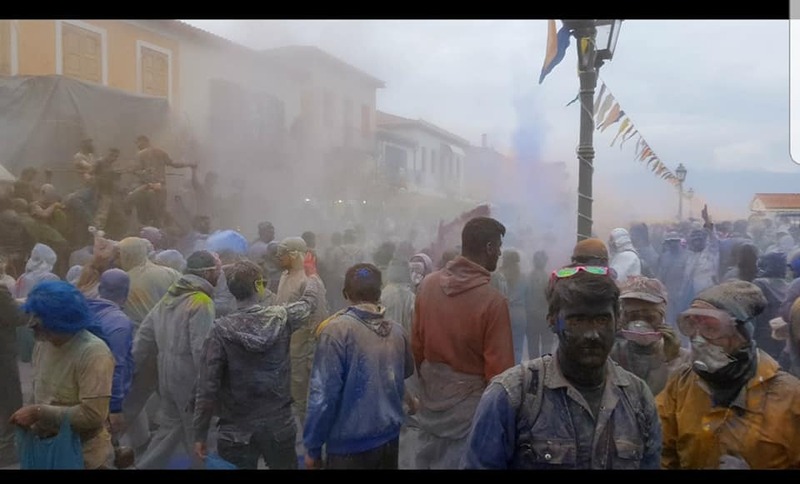 Each year, Chrysoula invites her guests to participate in the Galaxidi Flour War and they all join together with the locals. Most of the tourists who do not participate in the battles can find a clean viewpoint to enjoy the fights. It’s a great celebration to attend but book your accommodation well in advance because there is high demand during those days. Check here for hotels and hotel rates. From the beginning of the Triodion and each weekend during Carnival, the island’s customs requires the Yeros (old man) and the Korela (young girl) to go out in the streets and add their own special touch to the occasion. The “old man” wears a thick black cloak, white breeches and has two or three rows of bells tied around his waist, the weight of which can even reach up to 50 kilos. His face is covered with a small goat’s fleece and he dances in the streets so that the bells his is wearing jangle melodiously. The Korela, the old man’s partner, who also has her face covered, is dressed in the traditional white costume of Skyros in striking contrast with the “Old man’s” black color. She dances round the old man as he walks, opening the way for him or trying to help him and get him to rest. The most skilled “old men”, leave the streets of the market for a while, where most people gather and go up to the island’s Castle. There they will ring the bells in the Monastery of Agios Georgios. Then while the “Yeros” will stop to take a rest, the “Korella” will sing to him a traditional song of Skyros, praising him for his virtues and his qualities. Many times, a third figure, the “Frank”, accompanies the Carnival couple. The “Frank”, who wears traditional costumes of the island of Skyros as well as trousers, is making fun of all those islanders that stopped wearing knickers and preferred western trousers (Frankika). 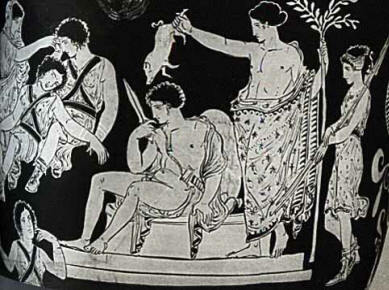 The origin of this custom is lost in the mists of time and many scholars believe that it has Dionysian roots, a relic of ancient Bacchic celebrations. The elderly of the island say that the “Yeros” and the “Korella”, come every year to remind islanders of a natural disaster which destroyed all the flocks of the island, whereupon a shepherd girded himself with the bells of his sheep and goats and went to the village to warn the others about the disaster. 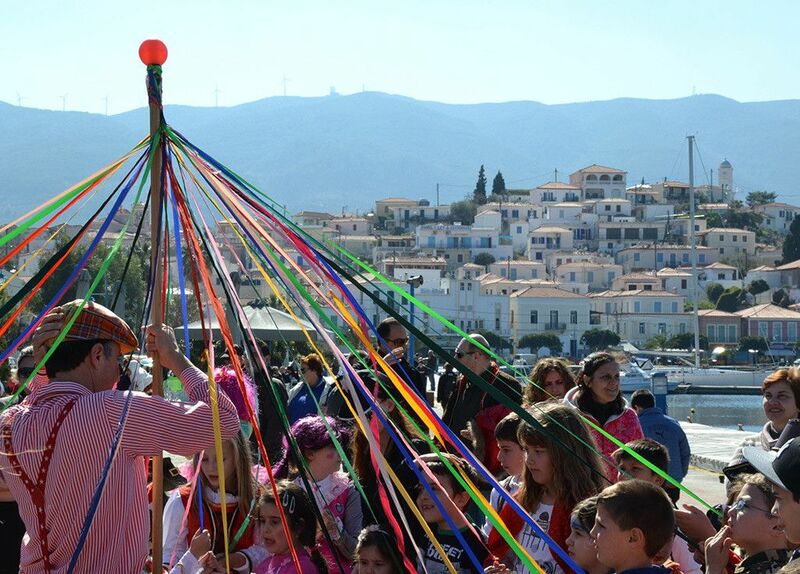 Another Carnival celebration of Skyros is the “trata“, which reenacts the life of sailors. The performers, who most of them are fishermen, satirize in rhyme situations and events regarding life in Greek society in general. The Dance of the ‘Gaitanaki’ is a unique part of Greek carnival: it is a group dance of men and women with colourful ribbons. One person holds the pole and twelve dancers hold each one of the twelve colourful ribbons that are fixed on the top of the pole and hang from it. Tradition says that the twelve ribbons symbolize the twelve months of the year. The carnival ends on Kathara Deftera or Clean Monday. On this day, the fasting begins and the Koulouma or (traditions related to Lent) start. On Clean Monday, most Greeks leave the city for the countryside to spent family time, to have a picnic and to fly a kite. The traditional food eaten on Koulouma is taramas, a red kind of caviar, halvas, a cornstarch sweet and a Clean Monday bread called lagana. Many local bakeries are open on Clean Monday and sell this special bread. Kyria Sarakosti is another wonderful tradition that helps us to mark the weeks of the Lent. Children in Greece make a paper doll or bake a bread one called Lady Lent or Kyra Sarakosti, who has seven legs, representing the number of weeks in Lent. Each week, a leg is removed as we count down to Easter. Find out more about Kyra Sarakosti and a recipe to bake one in my post about kyra sarakosti. Have you been to Greece during the Carnival period and did you enjoy it? Do you want to learn more about Clean Monday? 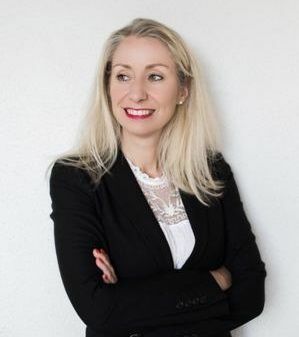 In my interview with Dutch National Radio (in Dutch!) I explain more about kites and Koulouma! 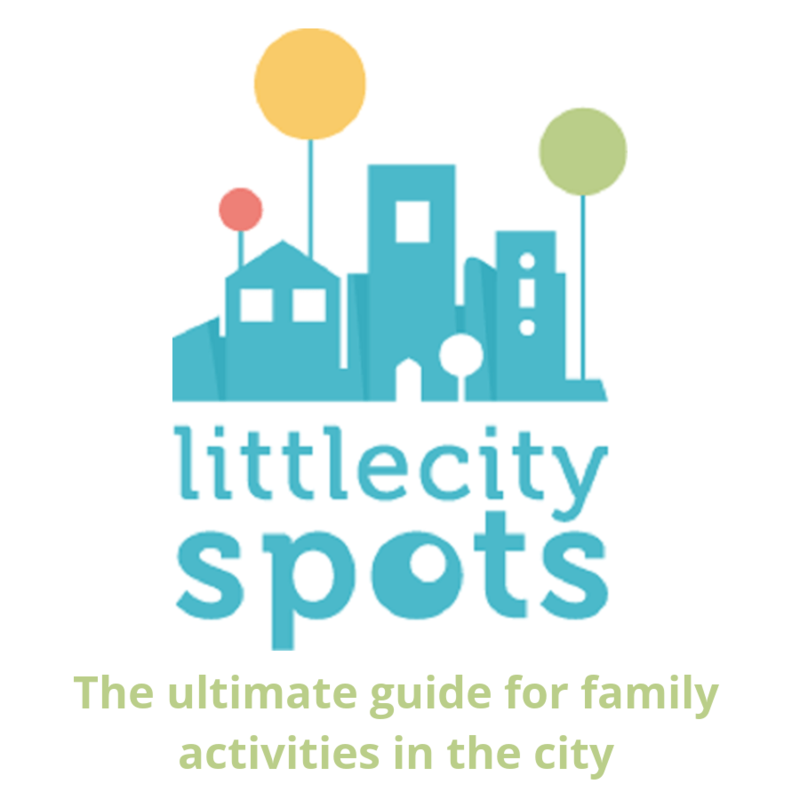 I loved your post and found it to be very informative and fun! I hope you won’t mind that I will use it as a link in the Hotel Facebook page that I manage. It is great to hear your feedback Elli. Thanks for sharing and stay in touch!